Discussion in 'Suggestions' started by Textarea, Nov 8, 2018. Yes. Textarea needs to see his dark pinkie pie again. No. I hate it when people are in love. Hi. My name is Textarea. My gf, DarkPinkiePie, and I loved playing on the creative server together. We never exchanged emails, and I lost contact with her a few months ago. Updates coming soon. There's no announcement thread on yaymc.com about the server being under maintenance... When will the server not be under maintenance anymore? The server is under maintenance, but there is not much happening at the moment. We don't really know when YayMC is gonna be up. The server is under maintenance as we work on the upcoming network-wide revamp. We are currently trying to recover from the resignation of our previous Community Manager, Reece. Myself and the other Manager, Jack, are trying our best to get this update pushed out for you guys. One of us will make a formal forums announcement with details of what has been going on, what we are doing, and our plans for the future. We cannot currently give out an expected release date, as we haven't made sufficient progress in development. Once we have, we will make a release date public. 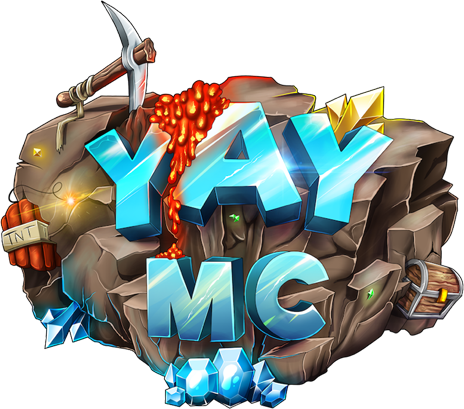 Once we've made comfortable progress on the revamp, we will be making regular announcements in Yay MC's Discord server; Click HERE to join and stay updated! this is a sadder love story than twilight.